Thinking about an independent cycle tour in Italy? This site is here to help: there are guides to tours, cycleways and cycle routes, and lots of resources to help you plan your trip. Use the menu to look for the type of route you're inter­ested in or the part of Italy. Or scroll this page for a small selection of what's on offer. This site is completely independent, and hopelessly uncom­mercial. Italy is a country I love and where I love to ride - I hope you will too. Please don't assume that the places featured here are the best — I just haven't yet made it to the rest. 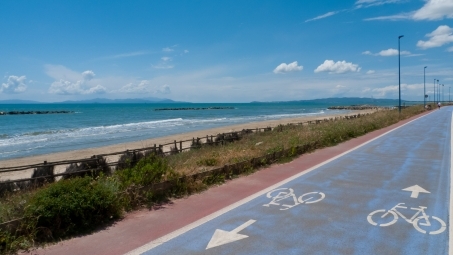 You can find good places to cycle throughout Italy, but, if you're wondering where to start there are some pointers in the article Cycling in Italy - Where to start. A 557-kilometre route, the majority traffic-free. 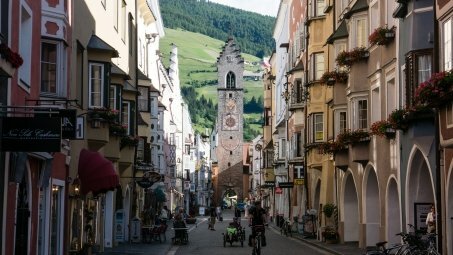 It takes you through southern Germany, the Austrian Tirol, and into Italy where it goes through the heart of the Dolomites before reaching Venezia. This route was only launched in 2015, but it looks set to become a favourite. See all inter­na­tional cycle routes. An estab­lished and popular route across the Alps. It follows the historic trading route that once linked Augsburg with the Po. Most people use it to go to Verona, although there is a variant that goes to Venezia, and you could also head for the Lago di Garda. About 700 kilometres depending on the option you choose. It's generally easy — with the option of shuttles to avoid the tricky bits. Read more: The Via Claudia Augusta. 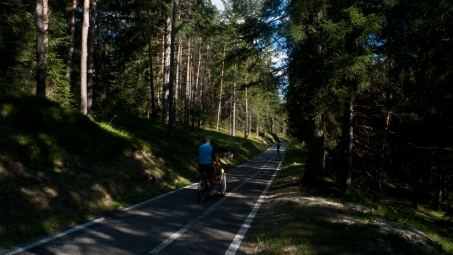 The Ciclovia Alpe-Adria Radweg route takes you the 447 kilometres from Salzburg, through Austria and into Italy's Friuli Venezia Giulia region, before bringing you to the coast at Grado. 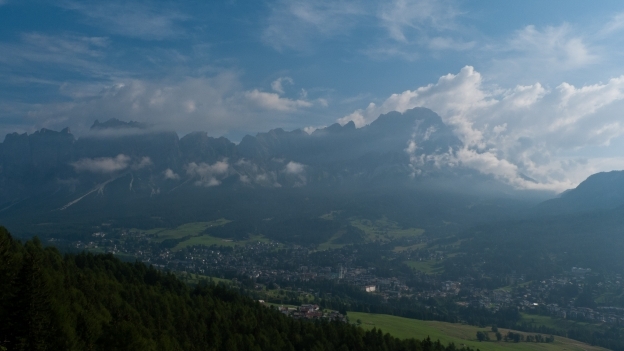 Mostly traffic-free, and mostly easy, this is deservedly a popular route over the Alps. The Ciclabile delle Dolomiti (formerly the Lunga Via delle Dolomiti) is possibly Italy's most scenic cycleway with some gorgeous views of the Dolomites. It follows an old railway line for 64 kilometres from Toblach (Dobbiaco) through Cortina d'Ampezzo in the heart of the Dolomites, to Calalzo di Cadore. 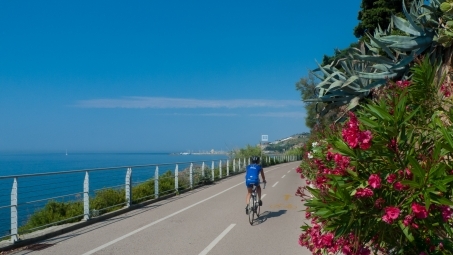 A 24-kilometre cycleway along an old railway line on the Ligurian Riviera dei Fiori around San Remo. Short, but defin­itely sweet, and you can always do it both ways. Italy is often either very hilly or very flat. Puglia is one of the excep­tions. It's flat enough to make it accessible to everyone, but not so flat that it gets too dull. With it's distinctive heritage, including the iconic trulli (stone-built houses) and some of Italy's most attractive towns and coastline, it's a great cycling destin­ation. 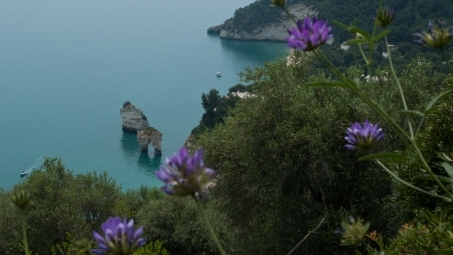 Grand Tour of Puglia, takes you through the best of what the region has to offer from its coast to the hills, not forgetting the Gargano peninsula, which is a pretty hilly but very beautiful. Oh and there's a detour to Matera, possibly Italy's most unusual city. Read more: Puglia Grand Tour. A relaxed 317-kilometre tour following the coast of Toscana using a combin­ation of quiet roads and cycleways. Taking you through coastal pinetas and the Bolgheri wine country. Very little climbing. A good way to start if you need a bit of a warm-up before tackling the more hillier terrain of inland Toscana and Lazio. Or you might use it as a chance to get some time at the beach - possibly on the island of Elba - before returning home. There's also a more challenging option taking in the hilltop towns that overlook the coast. Read more: Tuscan coast: tour overview. A 250-kilometre road tour that takes in five lakes. 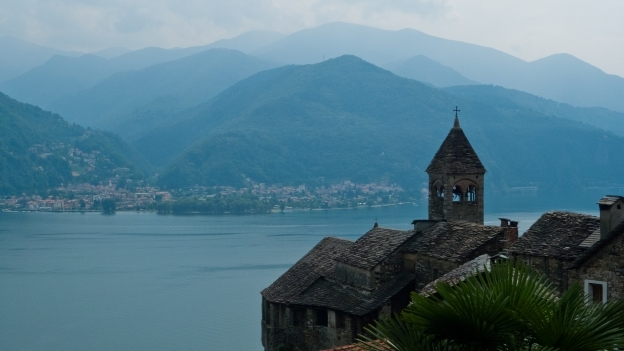 Three of the bigger lakes: Lago Maggiore, Lago di Lugano and and the Lago di Como, as well as two smaller lesser-known gems: the Lago d’Orta, Lago di Mergozzo. The route avoids the busier roads and there are sections of cycleway. There’s relat­ively little climbing, except for one classic climb to the chapel of the Madonna del Ghisallo - patron saint of cycling. This is a loop, so you could avoid it, but it would be a shame to miss the great views of the Lago di Como. This 460-kilometre route route starts near the Trentino-Lombardia border and takes you through to Carnia in Friuli-Venezia-Giulia. There's also a variant with a spectacular descent to the Lago di Garda. 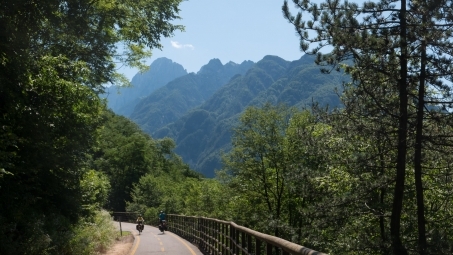 The tour connects with the Mountains of Lombardia tour, and you can combine it with the Dolomites East-West to make your own person­alised itinerary.